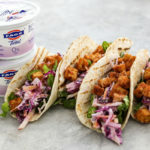 I’ve got a great little food hack for you: whip up creamy, homemade coleslaw in minutes by simply using FAGE Total plain 0% yoghurt instead of the trials of making your own mayonnaise. 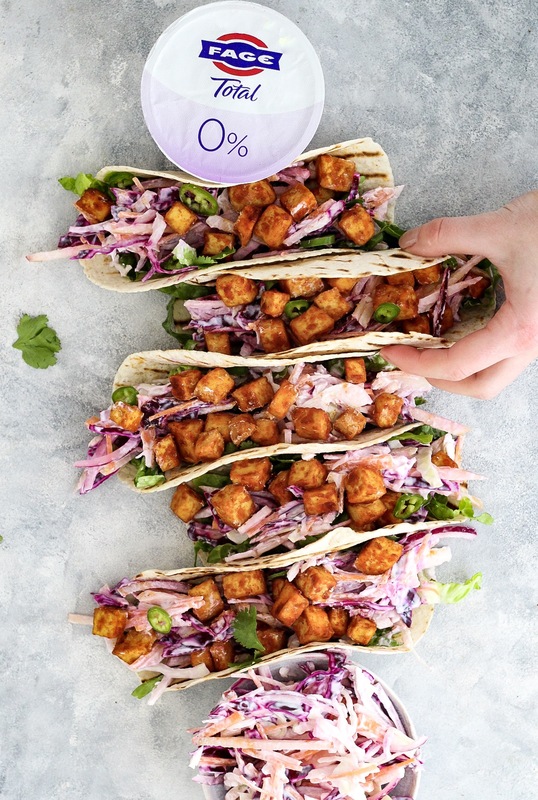 I like it best wrapped up in a taco with some crispy tofu but it also tastes awesome in wraps and sandwiches, with a baked potato, or served as a side at a BBQ (too early?). Preheat oven to 180°C/350°F and line 2 baking trays with parchment paper. Cut tofu blocks into small cubes, and add to a bowl. Add olive oil, cornflour, paprika, salt and pepper and gently combine so the tofu is evenly coated. Empty tofu onto baking trays and bake for 15 minutes, before shaking the trays to turn tofu over and baking for a further 15 minutes. Meanwhile, in a bowl combine grated carrot, shredded red and white cabbage, and sliced apple and onion. Squeeze with lemon juice and season with salt and pepper, before adding pot of FAGE and combining. 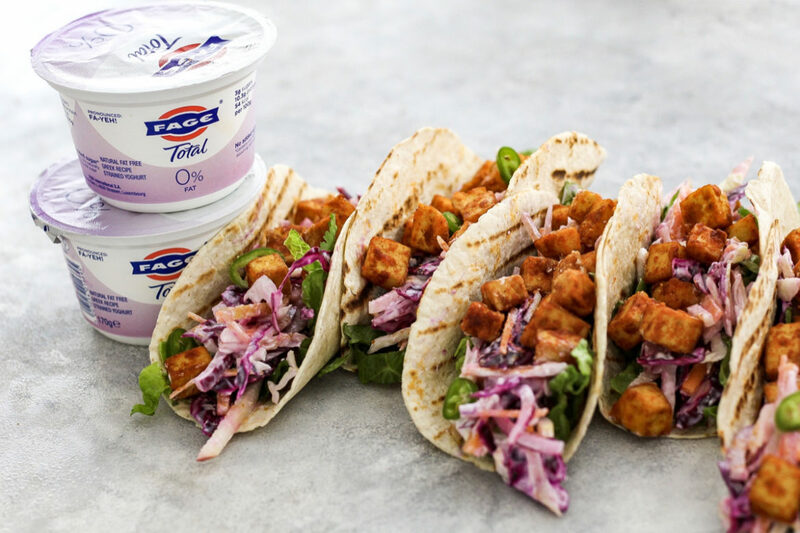 Load tacos with shredded lettuce, FAGE slaw, tofu cubes and garnish with coriander and green chilli.